Hi everyone! 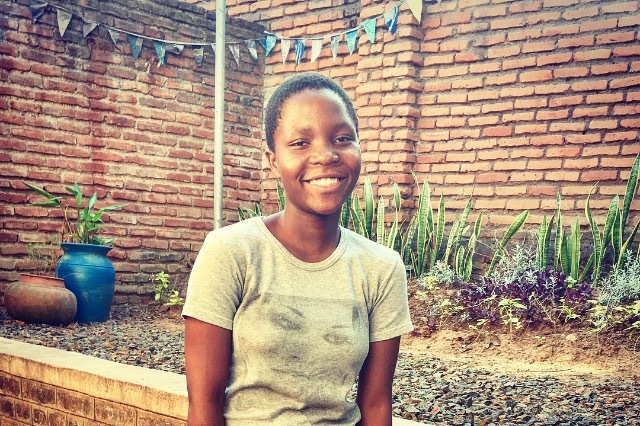 We're raising money for Dellifa because her mother is a widow, and she herself is fatherless, and the fees for attending any secondary school here in Malawi is totally out of reach for Dellifa's family. Dellifa lives with her mother and younger sister and older brother in the Ndirande shantytown. Thankfully, primary school in Malawi is free but unfortunately secondary school - which is just 4 years of education, from age 13 to 17 - is not free. Apparently only 3% of Malawians make it to secondary school! Why Dellifa? Well, you can't help everyone and remembering Mother Teresa's quote, "If you can't feed a hundred people, then feed just one"... we could say: "If you can't educate a hundred people, then educate just one"! And, well, Dellifa landed on our doorstep! Her mother is a maid who work locally, who also tries to make ends meet by babysitting and selling eggs, and we met Dellifa when her mother sold us eggs at our back door. We know Dellifa to be a bright student who has exceptionally good English, due to the fact that she has had the opportunity to mix with Europeans from an early age because of her mother's employers. 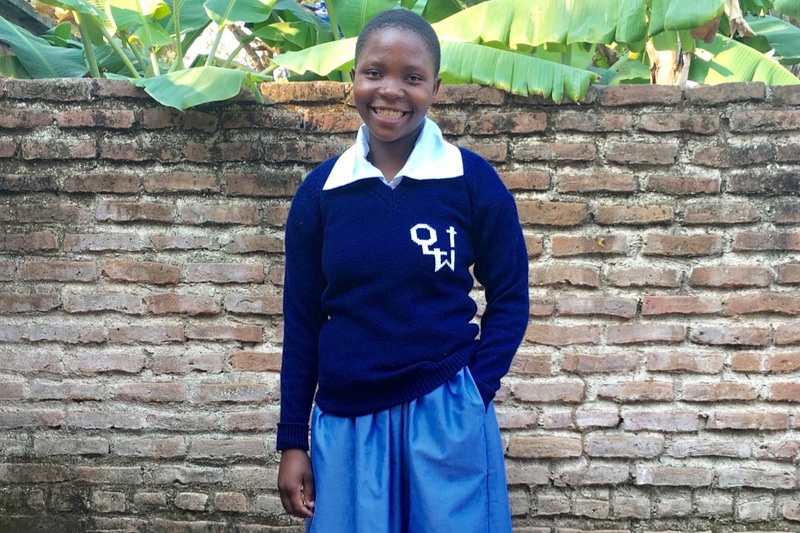 The alternative to going to secondary school for Dellifa would be to stay at home with her mother and acquire a maid's job, should a position materialise, but such jobs are hard to come by. Investing in her education, we believe, would bear much fruit. £66 for 2 sets of uniform - one-off payment until she grows out of it! Therefore for the year it would cost around £794! As of 26th September 2018, I have received a further £150 from a kind donor directly into my bank account and so I am going to reduce our target amount from £794 to £644... which means we are a lot nearer our target for this year!!! Thank you everyone!!! Dellifa's mother cried with joy when we said we had found at least 12 potential donors via Facebook so that she could send her daughter to school! She only earns £57 a month as a maid and has 4 children (2 of whom are grown up) and makes £1.50 an hour for occasional babysitting and a few pence from selling eggs... and so £794 to send 1 child to school for a year is simply not possible for her. She thanked God that her prayers had been answered! Dellifa took the entrance exam for the school on Monday 10th September and she received her results the next day to say that she had got in! Dellifa is due to start any day now and so funds would be most gratefully received as soon as possible! Thank you all so much for making this all possible: a mother's dream for her daughter has come true! As of 26th September 2018, I have received a further £150 from a kind donor directly into my bank account and so I am going to reduce our target amount from £794 to £644... which means we are a lot nearer our target for this year. Thank you everyone!!! We have currently raised £508 on this site (and a further (£245 off site).... which means we only have £136 more to raise in order to pay for the whole of the first academic year! Well done everyone!!! Thank you, everyone, for supporting Dellifa! As you can see, she now has her school uniform and has been attending secondary school since Thursday 13th September... only 3 days late... but she caught up quickly. Thank you for all the funds you have raised on this site (£438 so far) and some extra via my bank account (£95 from 3 people)! She is very happy and her mother is delighted! It has been really important to make sure Dellifa had everything she needed to start secondary school: 2 sets of uniform (1 to wash + 1 to wear); shoes + socks; and sanitary wear (an essential in the Third World otherwise girls miss lessons each month by having to stay at home); school bag + water bottle; pencil case with all stationery essentials, as well as mathematical instruments + calculator (as stipulated in the school rules); and a school English dictionary/thesaurus + a Chichewa-English dictionary. They don't need sports clothes, except trainers, which were already given to her secondhand. And she has also acquired her 1st watch which was given to her secondhand. 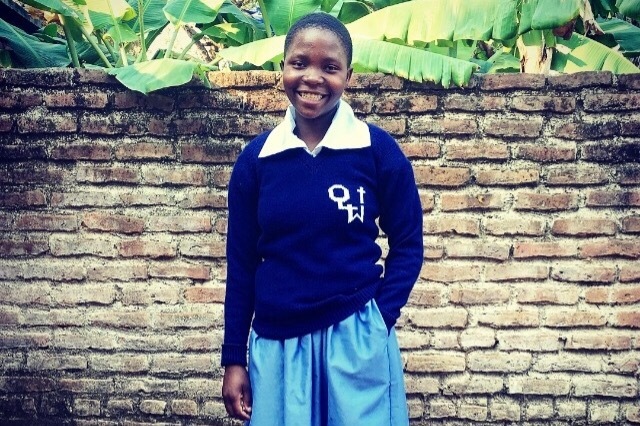 And so she has been totally outfitted thanks to you! Dellifa's family say that they are praying for you all! God bless you all!